It’s been a hot and humid summer so far with a lot of events taking place in many places in and around Grand Island (it seemed like we skipped spring and went straight into summer). I was sent to Albion, Neb. (an hour and 15 minutes away) to photograph our Athlete of the Year. 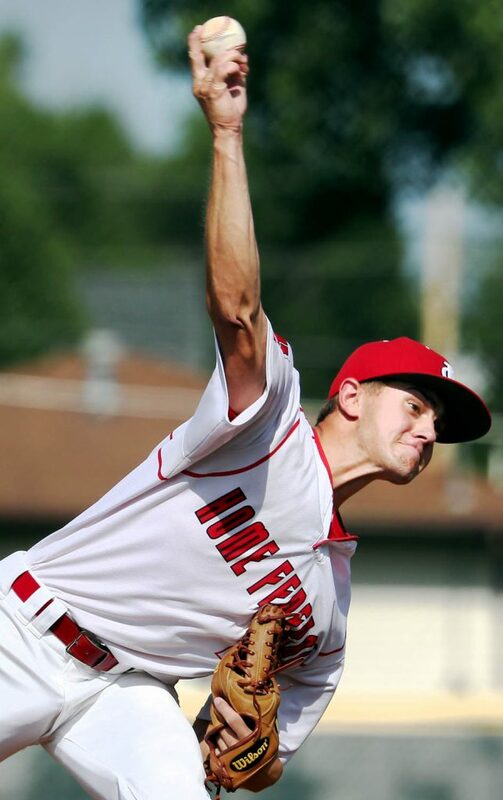 Also, another standout athlete, Sam Schukel, who won the Paul Beranek Courage Award with a portrait in Kenesaw, Neb. 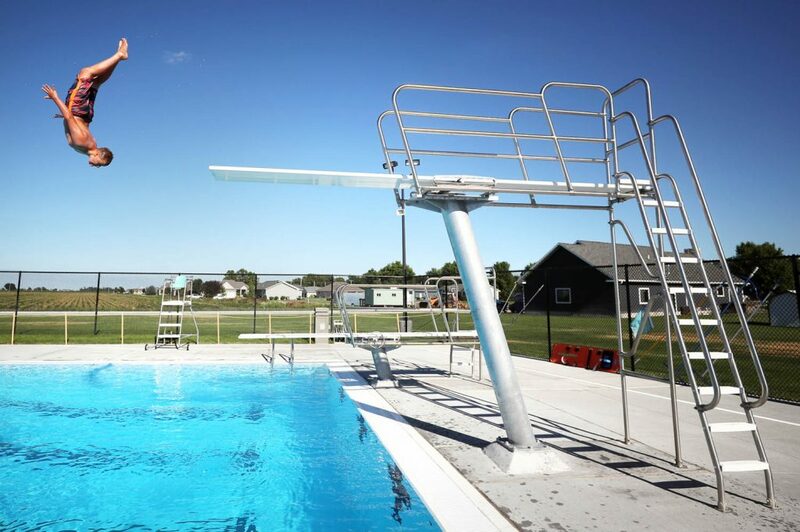 The Hear Grand Island summer concert series kicked off and a new water park the Wood River Aquatics Center opened. 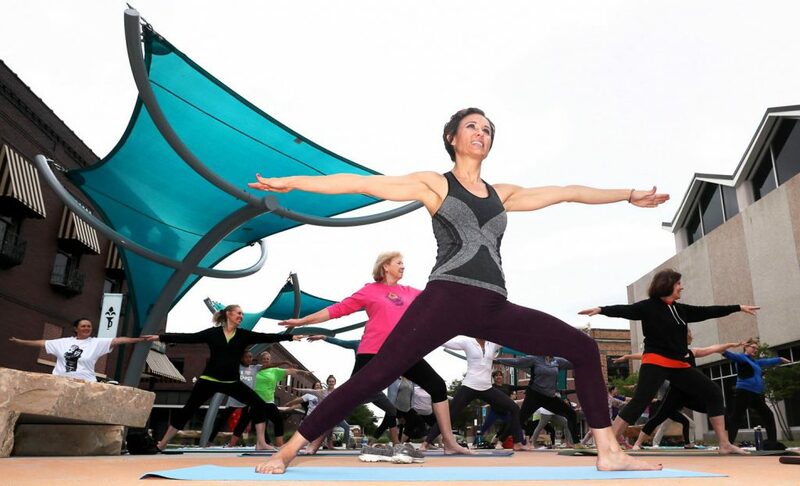 And the YMCA had it’s first ever outdoor yoga class at Railside in downtown Grand Island. Stef Brown smiles while participating in a yoga class for the first time held outside at Railside in downtown Grand Island Thursday evening. Joshua Luehr dives off the high dive at the Wood River Aquatic Center. 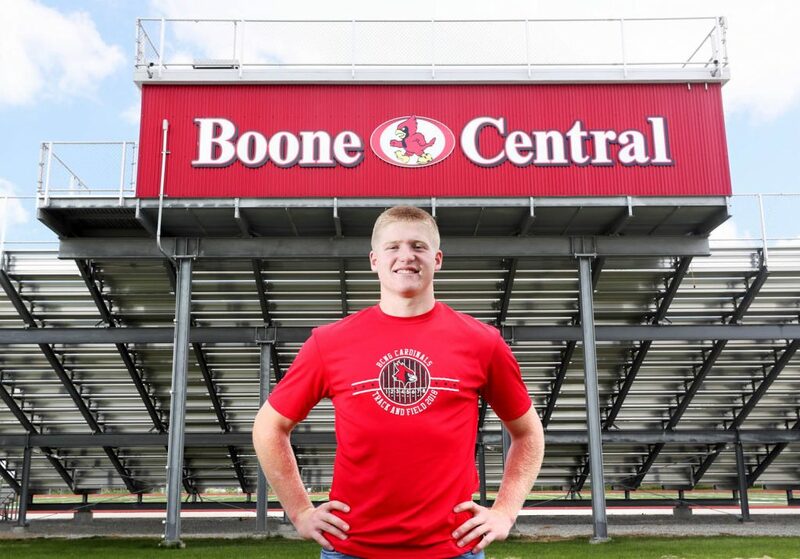 The Grand Island Independent Athlete of the Year is Jessie Sullivan of Boone Central/Newman Grove High School in Albion, Neb. Kera Lynn and her boyfriend Logan Knapik of Austin, Texas dance together while listening to Bernardus play songs from their CD Good from Here at Railside during Hear Grand Island Friday night. 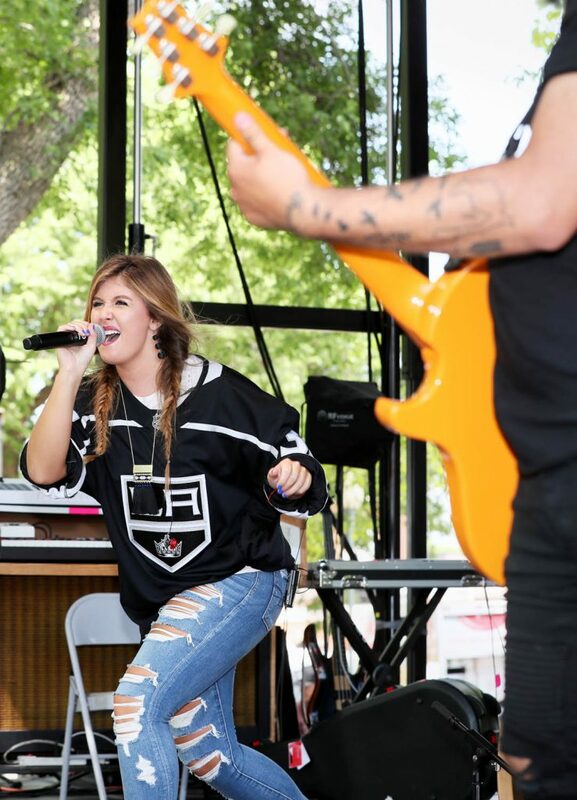 Singer Abby Martinez performs during the Life Light Festival in Aurora Saturday. 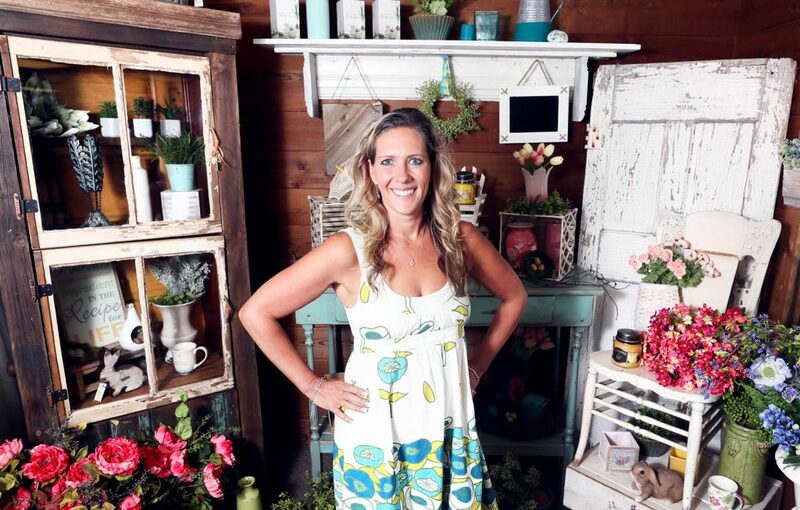 Dena Sullivan, owner of Snows Floral Company, stands in the floral shop showroom at 2116 S. Webb Rd. 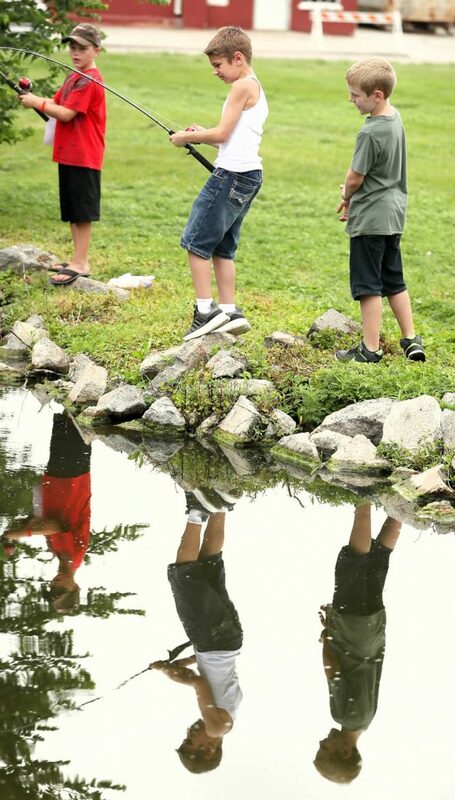 Rylan Harder, center, reels in a catfish out of Liberty Lake while his cousin Jason Bushhousen, right, watches during Izaak Walton kids fishing derby Saturday at the Grand Island Veterans Home. 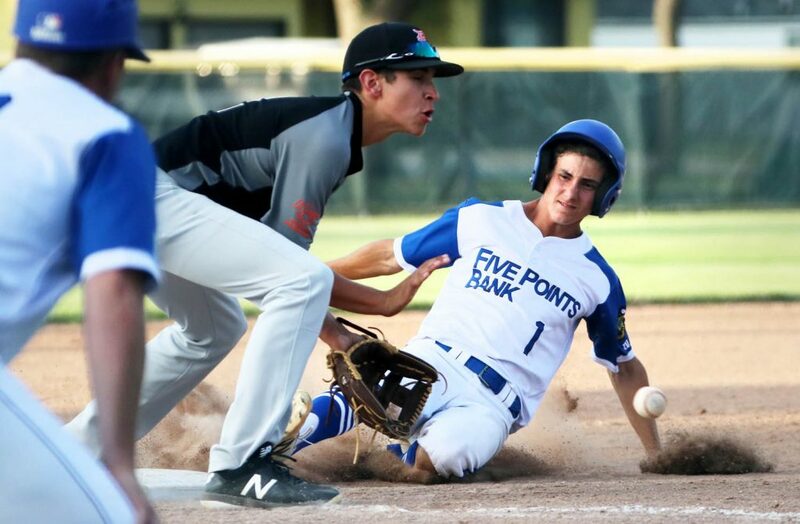 Broc Douglass of Five Points beats a Kearney throw on a slide into third base Friday night at Ryder Park. 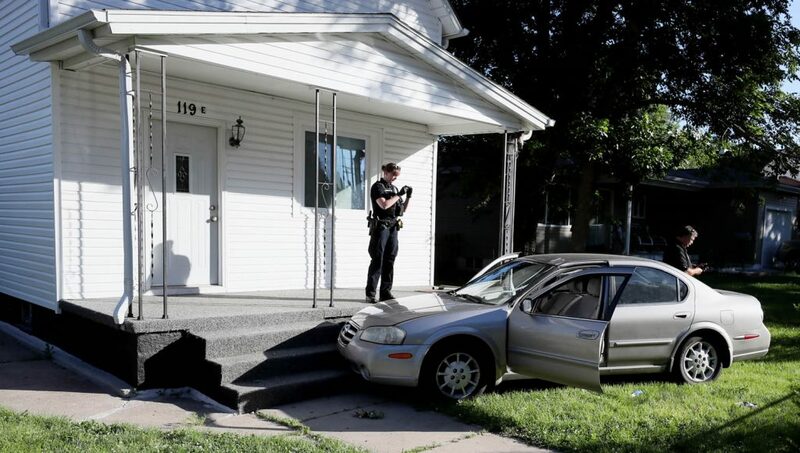 Grand Island Police officer Megan Johnson takes a picture of a Nissan Maxima involved in an injury accident as it was driven through a chain-link fence and into a concrete porch at 119 E. 11th St. Tuesday. Its believed three male juveniles who occupied the vehicle fled on foot from the scene of the accident. Vietnam veteran Jack McMahon points to his name plate on the opposite side of a memorial wall from Sgt. Gary L. Berry who also served in Vietnam at the Heartland Veterans Memorial in Central City. 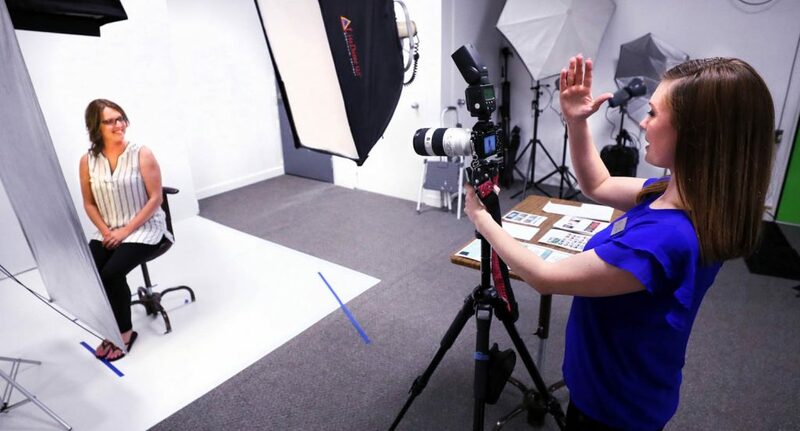 Amy New, left, has a professional headshot taken by Julie Wright, creative director for Tally Creative at 209 W. Third St.
Home Federal pitcher Tyler Sextro delivers a pitch to a North Platte batter at Ryder Park Wednesday. 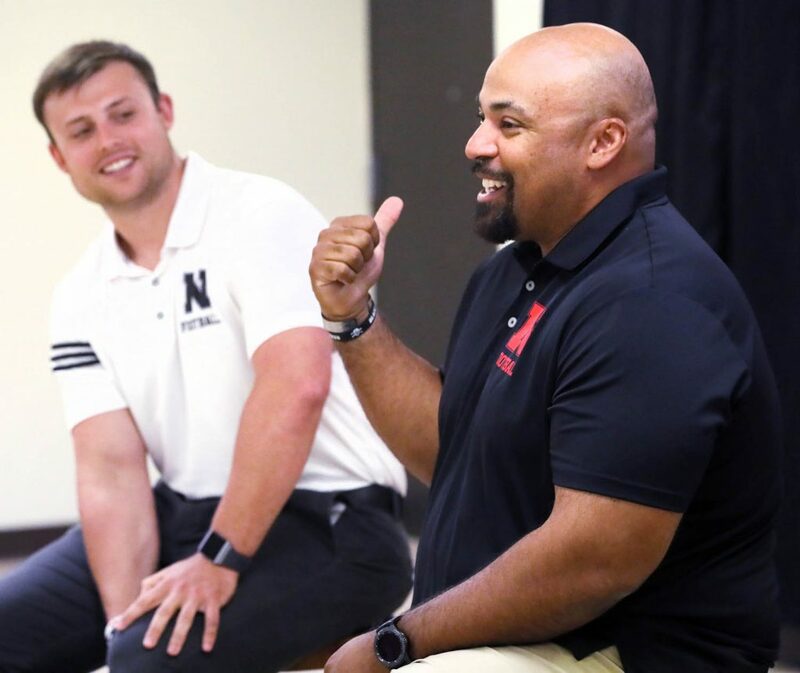 Jack Cooper, Nebraska defensive quality control football coach, left, listens to Jovan DeWitt, outside linebackers/special teams assistant coach while visiting the general public at Bremer Community Center Tuesday in Aurora. 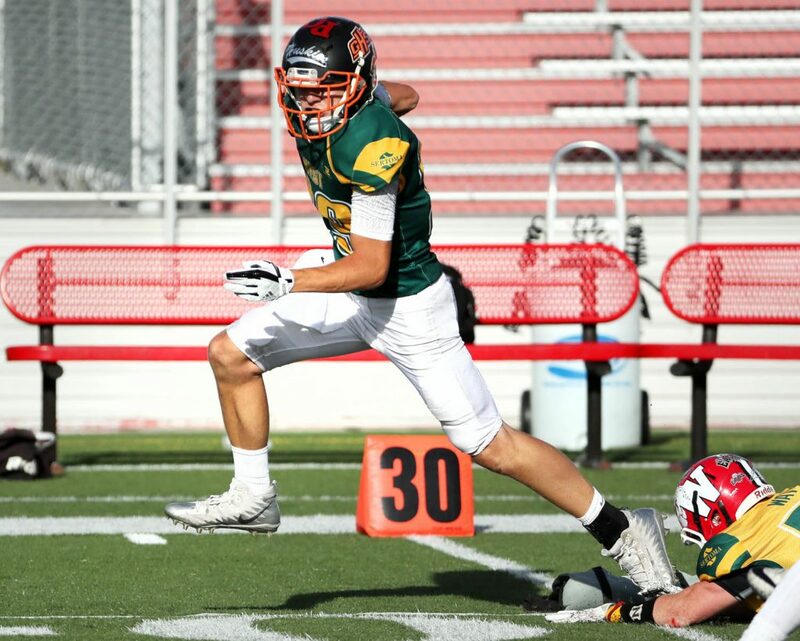 Josh Hinrichs of Giltner breaks it big for the West team scoring on a second quarter pass play during the 2018 Nebraska Eight-Man All-Star football game Saturday at Hastings College. The West won 39-17. 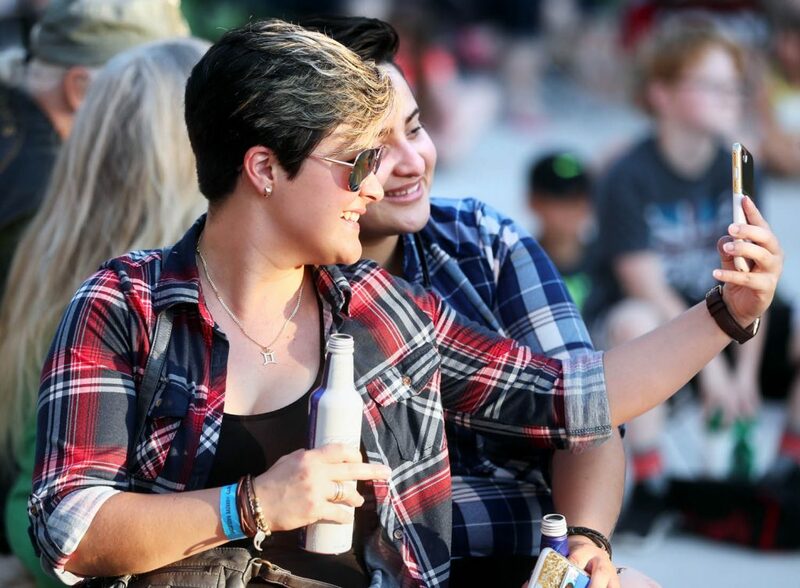 Annalien Gonzalez de la Vega and Violet Hernandez take a selfie during opening night of the Hear Grand Island Concert Series at downtown Railside Plaza Friday night. 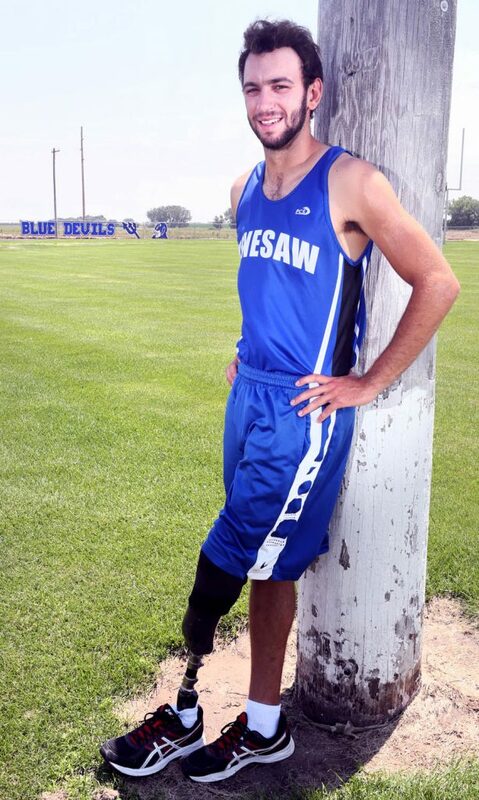 Sam Schukei, an athlete at Kenesaw High School in basketball, football and track & field, is recipient of the Paul Beranch Courage Award. 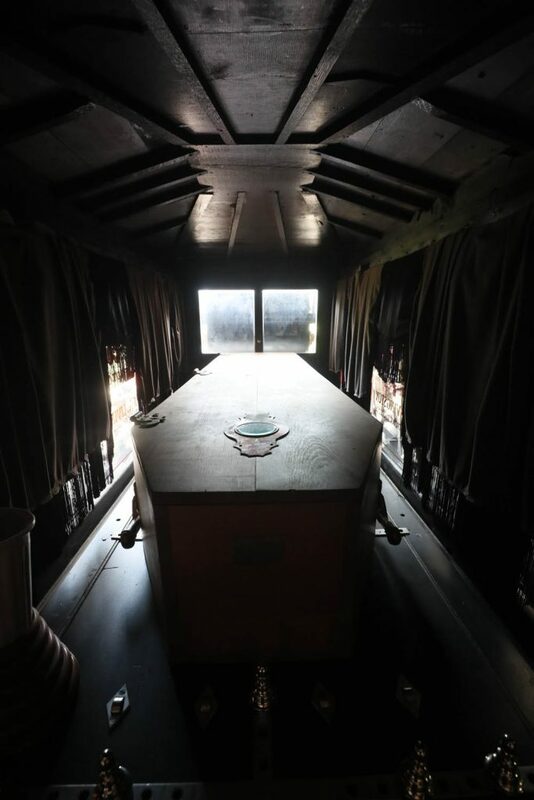 Inside the Fralick-Geddes Co. Undertakers horse drawn hearse is an old wood coffin inside Bill Baaschs River Bend Ranch. This entry was posted on July 1, 2018. It was filed under Uncategorized.